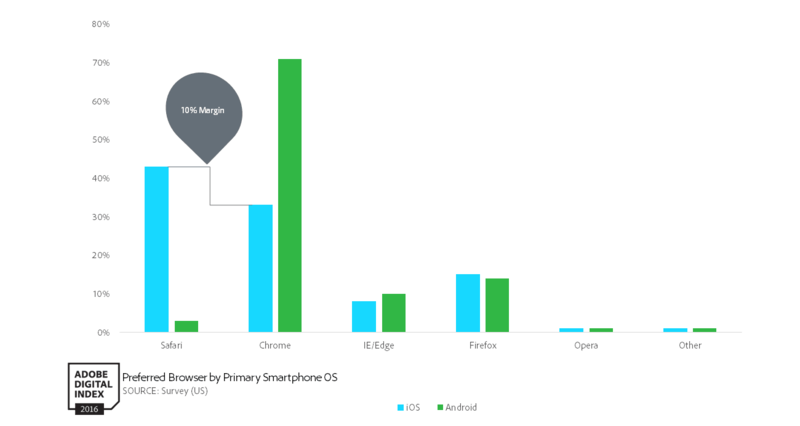 On iOS, you’ve got variety when it comes to Web browsers — more than you’ll find on Android. Still, the race comes down to Safari and Chrome, and a new study by Adobe Digital Index shows Google is king, but Apple is catching up. On iPhone, Chrome usage has outpaced Safari by a massive 127 percent since January of 2015 — but it shows signs of weakening. 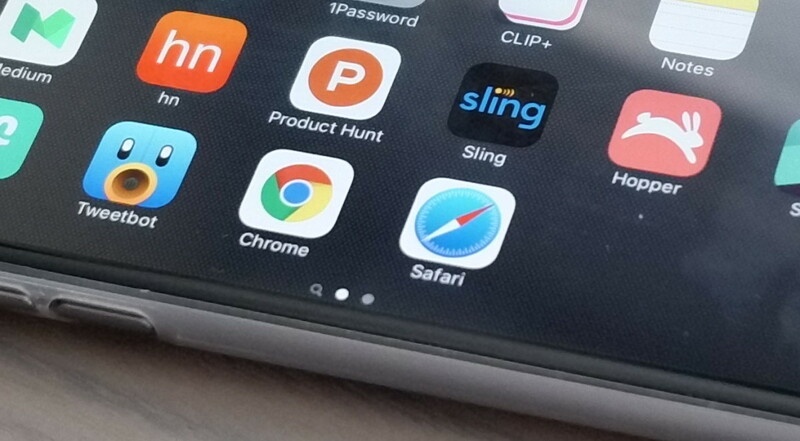 About 43 percent of iPhone users say they prefer Safari, while 33 percent like Chrome. 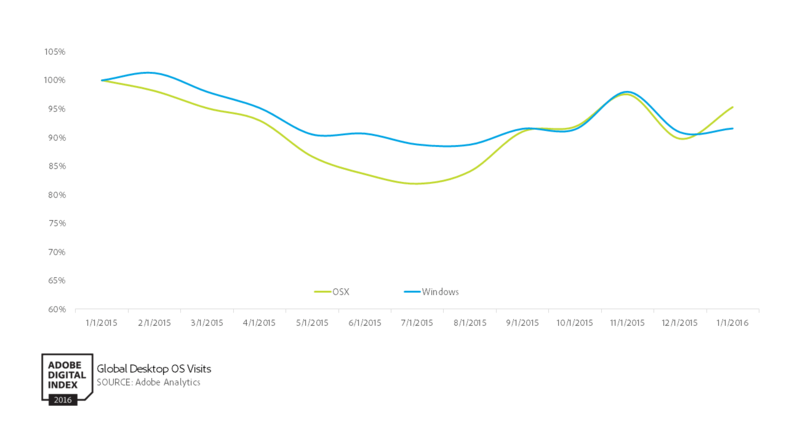 The two browsers saw an uptick in usage on iOS, but Safari had better gains. 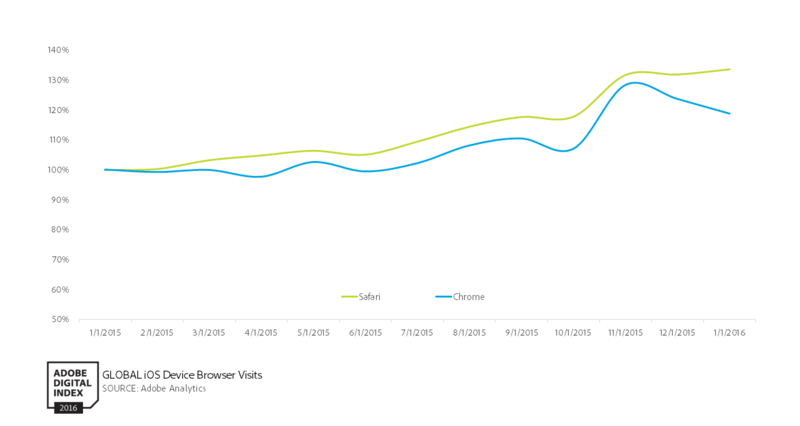 Year-over-year, Safari saw usage rise 34 percent while Chrome saw a 19 percent hike. 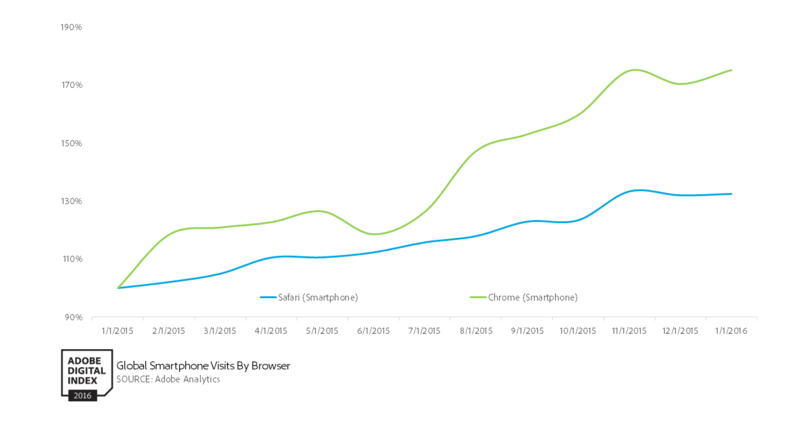 Both smartphone and tablet usage grew, though it’s clear we like phones better. Page visits via smartphones jumped 18 percent, while tablet usage grew only 4 percent. When it comes to mobile Website hits, 76 percent comes via smartphones — and iPhone outpaces Android 46 percent to 30 percent. The 24 percent of mobile Website visits not related to smartphones obviously come via tablets, and iPad 918 percent) outpaces Android (5 percent) by a wide margin. 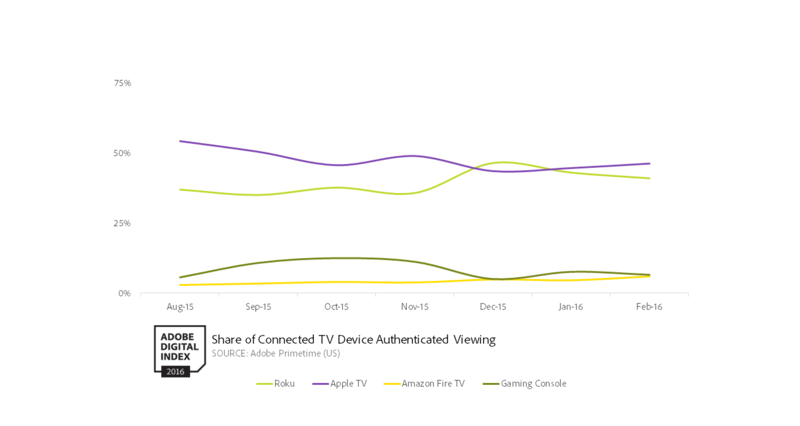 Visits from iPads are down 7 percent versus last year, though. Mac visits to Websites are also down 5 percent. Adobe’s study also shows that sentiment towards Apple has been trending “toward disappointment.” Interestingly, the incoming iPhone SE is the most talked about device via social networks.